As one of the highest cities in the world at 3,650 m, La Paz is sure to take your breath away in more ways than one! Set into a canyon and surrounded by snow capped peaks, Bolivia’s de facto capital makes quite the impression on any visitor; a cultural cauldron of tradition where you can wander the through the Witches markets, visit the colonial San Francisco Cathedral and Metropolitan Cathedral and explore the numerous museums on Jaén Street, whose design has been preserved from the Spanish days. Atix Hotel is located in the upscale residential neighborhood of Calacoto in La Paz. Enjoy your stay at this boutique hotel which blends modern architecture with local Bolivian materials in its design. Offering the highest international level of service and known as the very best hotel in La Paz, the Camino Real Suites offers modern design, comfort, cleanliness and excellent views of the city from its huge panoramic windows. Casa Grande Hotel is undoubtedly La Paz’s best hotel, located in the southern area of the city where there is lower altitude. Full of character, this small boutique hotel formerly housed the historical Panamanian Consulate. Only steps from San Francisco plaza and the 'witches market' lies the beautiful La Casona boutique hotel. Friendly and warm, the Ritz Apart hotel provides spacious rooms (all with fully stocked kitchenettes) and personalized hospitality. Venture deep into the altiplano, traveling far off the beaten tourist path to Sajama, Bolivia’s highest peak. This dramatic snow-capped volcano dominates the harsh landscape of furrowed highlands, rocky canyons and windswept plateaus. On your way into the National Park, visit the small town Curahuara de Carangas, home to a spectacularly hand-painted church coined the Sistine Chapel of Bolivia. Once inside Sajama, you will be able to experience the local culture of the tiny pueblo nestled at the feet of the giant mountain as well as visit the natural hot springs and surrounding landscapes of impressive beauty. 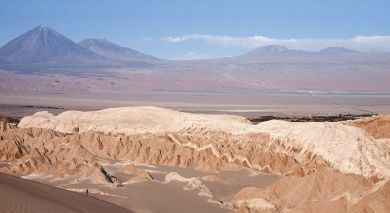 A long day, but one of the most rewarding and authentic experiences of Bolivia in its most rugged and raw form.beauty. This is one of the most rewarding and authentic experiences of Bolivia in its most rugged and raw forms. Adrenaline, adventure, emotion, and freedom are just a few of the elements that are synthesized in this unforgettable experience. Cycle on Bolivia’s Death Road traversing its winding curves from La Paz to Coroico. Along the way you will be amazed by the various ecological strata, from snowy high Andean peaks to the lush green cloud forest where Coroico is located. This tour by bicycle with high-mountain professionals allows for a safe yet unbelievably exciting adventure. Explore the fascinating city of La Paz with a private guide on this full day tour. Visit the city’s most representative sites such as the Church of San Francisco, Plaza Murillo and government palaces, and the oddly fascinating ´mercado de brujas´ witches market. Walk the antique cobbled street Calle Jaen full of small eclectic museums. Continuing, reach The Andes district where craftspeople display the essence of Bolivian folklore. After lunch travel into the residential neighborhoods and meander the Valle de la Luna moon valley park which is made up of unique natural geological formations. Your private guide will go at your pace and tailor the experience to your wishes. Venture directly into the gorge of Palca on a private trekking tour. Surrounded by bizarre rock formations, this comfortable walk through breathtaking nature invites you to explore village life and offers a rich insight into indigenous aboriginal communities. The Tiwanaku culture, which belongs to the Pre-Inca period, is considered one of South America’s most important civilizations. On this full day privately guided tour departing early from La Paz, visit the archaeological site where you will be able to appreciate incomparable examples of this culture, such as the Gateway of the Sun, Pyramid of Akapana, Temple of Kalasasaya and the Semi-subterranean Temple. There is also a visit to the archaeological site’s Museum and to the town of Laja, where the city of La Paz was originally founded. Walk through the village of Tiwanaku to visit the church, where pieces of incalculable historical-cultural value can be observed and after lunch visit Puma Punku and the Sukacollos before returning to La Paz. Discover the Pachamama and Bolivia’s firmly rooted spiritual beliefs on this fascinating exploration of the La Paz’s mystical side. With your private guide, walk through the ´mercado de brujas´ witches market, where it is possible to observe a series of elements used in ceremonies and rituals and hear stories from myths and religious legends. Travel into the area in which the witchdoctors kallawayas operate. 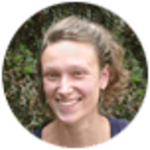 These are Andean experts in healing ailments of body and soul, with whom you will have the unique opportunity to share an esoteric ritual. Cross the Altiplano of La Paz to the tiny island of Pariti. This lesser-known spot was the starting point for Thor Heyerdahl’s epic 1947 travelogue adventures as the locals helped him build the reed boats that crossed many oceans. Once you reach the island your explorer spirit will shine when you visit a museum that boasts exquisite, priceless discoveries from recent excavations. Spend time in the wonderfully rustic Huatajata Crafts Centre. En-route, visit Huatajata, a picturesque village located on the south-eastern shores of Lake Titicaca, the largest freshwater lake in the world. The Tiwanaku culture, which belongs to the Pre-Inca period, is considered one of South America’s most important civilizations. On this 5 hour privately guided tour you will visit the archaeological site where you will be able to appreciate incomparable examples of this culture, such as the Gateway of the Sun, Pyramid of Akapana, Temple of Kalasasaya and the Semi-subterranean Temple. There is also a visit to the archaeological site’s Museum and to the town of Laja, where the city of La Paz was originally founded. On this privately guide half-day tour, visit the city’s most representative sites such as the Church of San Francisco, Plaza Murillo government palaces and the oddly fascinating mercado de brujas witches market. Later travel into the residential neighborhoods and meander in the Valle de la Luna moon valley park which is made up of unique natural geological formations. Your private guide will go at your pace and tailor the experience to your wishes. Venture deep into the altiplano, traveling far off the beaten tourist path to Sajama, Bolivia’s highest peak. This dramatic snow-capped volcano dominates the harsh landscape of furrowed highlands, rocky canyons and windswept plateaus. On your way into the National Park, visit the small town Curahuara de Carangas, home to a spectacularly hand-painted church coined the Sistine Chapel of Bolivia. Once inside Sajama, you will have 3 days to deeply experience the local culture of the tiny alpaca-herding village nestled at the feet of the giant mountain. Stay for two nights at the rustic and charming Tomarapi Eco Lodge, attended with genuine warmth and care by the village locals. 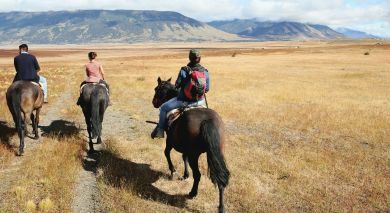 Energized by hearty meals featuring local specialties, explore the vast terrain by foot or vehicle, taking time for soaks in the natural hot springs surrounded by landscapes of impressive beauty. This is one of the most rewarding and authentic experiences of Bolivia in its most rugged and raw forms. Venture deep into the altiplano, traveling far off the beaten tourist path to Sajama, Bolivia’s highest peak. This dramatic snow-capped volcano dominates the harsh landscape of furrowed highlands, rocky canyons and windswept plateaus. On your way into the National Park, visit the small town Curahuara de Carangas, home to a spectacularly hand-painted church coined the Sistine Chapel of Bolivia. Once inside Sajama, you will be able to experience the local culture of the tiny alpaca-herding village nestled at the feet of the giant mountain. Stay overnight at the rustic and charming Tomarapi Eco Lodge, attended with genuine warmth and care by the village locals. The following day after a hearty breakfast explore the vast terrain by foot or vehicle, taking time for a soak in the natural hot springs surrounded by landscapes of impressive beauty. This is one of the most rewarding and authentic experiences of Bolivia in its most rugged and raw forms. The glittering azure waters of Lake Titicaca await you on this in-depth 2 day tour of the lake and its most magical sites. Depart early from La Paz towards Copacabana where you will navigate on a private boat to the mystical Incan island Isla del Sol. On the island explore the Yumani Steps and the Source of Eternal Youth as well as observing the Andean agricultural systems, the cordillera of the Andes and the majesty of deep blue Lake Titikaka. Spend the night on the sacred island at a simple yet cozy lodge so that you can appreciate the spectacular sunrise over the island and the archaeological jewel Pilkokaina. 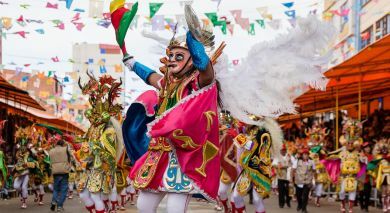 Return before midday for lunch in Copacabana and visit its 16th Century shrine, the Basilica of Our Lady of Copacabana, a Catholic holy pilgrimage site famous for its miraculous mestizo Madonna later returning to La Paz or continuing onwards and crossing into Peru. The glittering azure waters of Lake Titicaca await you on this in-depth privately guided 2 day tour of the lake and its most magical sites. Depart from La Paz with your private driver and guide on a journey resplendent with spectacular mountain vistas. Arrive in Copacabana on the shores of the Lake and visit its 16th Century shrine, the Basilica of Our Lady of Copacabana, a Catholic holy pilgrimage site famous for its miraculous mestizo Madonna. Enjoy the beautiful sunset over the lake from your comfortable accommodations in town. 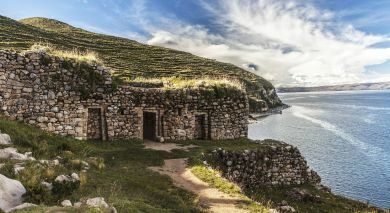 The following day navigate by private boat to the mystical Incan island ‘Isla del Sol.’ On the island explore the Yumani Steps and the Source of Eternal Youth as well as observing the Andean agricultural systems, the cordillera of the Andes and the majesty of deep blue Lake Titikaka. The small town of Coroico is located in the subtropical area north of La Paz, surrounded by numerous plantations such as coffee, bananas, citrus fruits and coca. The approximately 3 hour journey from La Paz with private guide and driver ventures through climatic changes and transformations in landscape, offering a complete vision of the dramatically diverse ecological strata that exists in the region. You will be captivated by panoramic views of singular beauty, with the majesty of rippling green peaks that reach as high as 4,700 m and drop to 1,700 m found upon arrival in Coroico. After savoring a tropical lunch, visit the outskirts of this community before returning to La Paz. On a long but wonderful day trip with a private guide and driver, experience the sparkling waters of Lake Titicaca in Copacabana, Bolivia’s gateway town to the highest navigable lake in the world. Navigate in a private boat to the ‘Isla del Sol,’ the mystical Incan island and visit sites like the Staircase of Yumani and the Source of Eternal Youth while observing Andean agricultural systems, the cordillera of the high Andes and the majesty of the deep blue lake. Return for lunch in Copacabana and visit its 16th Century shrine, the Basilica of Our Lady of Copacabana, a Catholic holy pilgrimage site famous for its miraculous mestizo Madonna.